Jean-Pierre Raffarin is a French politician who served as Prime Minister of France from 6 May 2002 to 31 May 2005. François Bayrou is a French centrist politician and the president of the Democratic Movement (MoDem), who was a candidate in the 2002, 2007 and 2012 French presidential elections. Xavier René Louis Bertrand is a French politician. He was Minister of Health from 2005 to 2007 in Dominique de Villepin's government under President Jacques Chirac, then served as Minister of Labour, Social Affairs and Solidarity from 2007 to 2009 and as Minister of Labour, Employment and Health from 2010 to 2012. He played a leading role in Nicolas Sarkozy's presidential campaign in 2007. After the 2015 regional elections, Bertrand became president of the regional council of Hauts-de-France. He was a member of Union for a Popular Movement, later The Republicans, until 11 December 2017, when he announced that was "definitively leaving" the party after Laurent Wauquiez was elected the leader of the party. Jean-Louis Debré is a French politician who served as President of the National Assembly from 2002 to 2007 and President of the Constitutional Council from 2007 to 2016. The son of former Prime Minister Michel Debré, he was Minister of the Interior from 1995 until 1997 during the presidency of Jacques Chirac. Since 2016 he has been President of the Superior Council of Archives. Patrick Devedjian is a French politician of the Union for a Popular Movement (UMP) party. 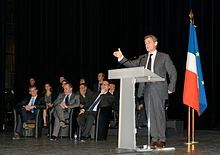 A close adviser of Nicolas Sarkozy since the 1990s, he was Minister under the Prime Minister in charge of the Implementation of the Recovery Plan, a special ministerial post created for two years after the global financial crisis of 2008, since December 2008. He is of Armenian descent. The French legislative elections took place on 10 June and 17 June 2007 to elect the 13th National Assembly of the Fifth Republic, a few weeks after the French presidential election run-off on 6 May. 7,639 candidates stood for 577 seats, including France's overseas possessions. 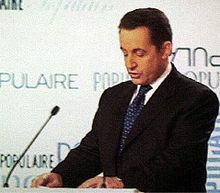 Early first-round results projected a large majority for President Nicolas Sarkozy's UMP and its allies; however, second-round results showed a closer race and a stronger left. 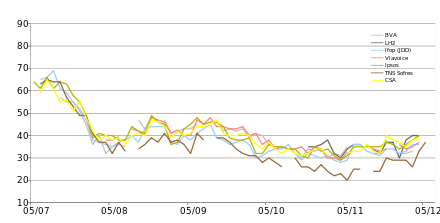 Nevertheless, the right retained its majority from 2002 despite losing some 40 seats to the Socialists. Nathalie Geneviève Marie Kosciusko-Morizet, often referred to by her initials NKM, is a French politician. She was deputy of the 4th electoral constituency of Essonne from 2002 to 2017, mayor of Longjumeau from 2008 to 2013, and an unsuccessful mayoral candidate for Paris in the local elections in 2014. 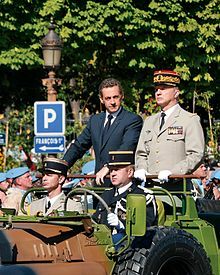 The presidency of Nicolas Sarkozy began on 16 May 2007 when Nicolas Sarkozy became the sixth President of the French Fifth Republic, following his victory in the 2007 presidential election. A candidate of the conservative Union for a Popular Movement (UMP), he nominated François Fillon as Prime minister, who formed a composite government, a bit modified following the UMP's relative victory during the June legislative election. Although the UMP had not obtained a majority as large as expected, Nicolas Sarkozy could launch the reforms he had pledged as a candidate as soon as he was elected. However, he tried to open his government to the opposition party, appointing several politicians close to the opposition parties. 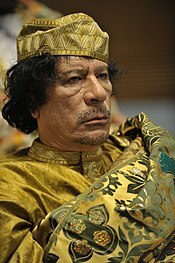 Alleged Libyan financing in the 2007 French presidential election purportedly took the form of Libya's covert and illicit bankrolling of the presidential campaign of Nicolas Sarkozy with up to €50 million in pay-outs. Sarkozy has denied wrongdoing and rejected suggestions he was a Libyan agent of influence during his tenure as president of France.